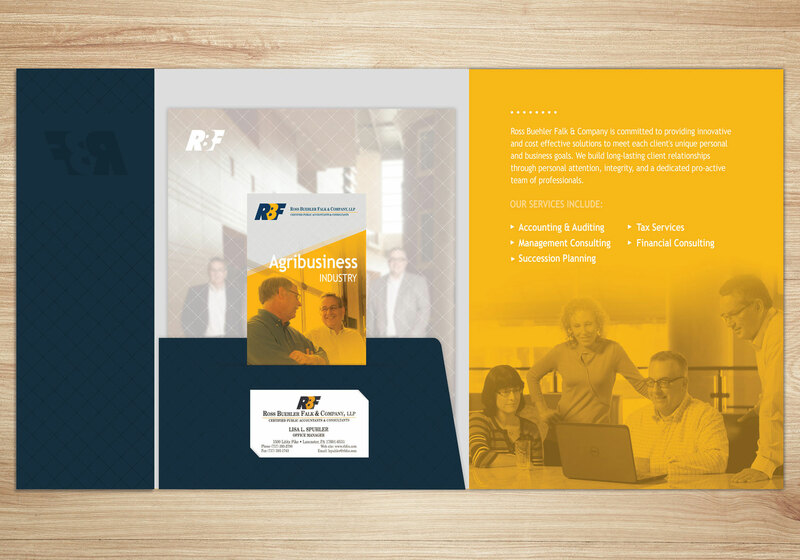 Lancaster based accounting firm, Ross Buehler Faulk and Company, contacted Hamilton with the goal of enhancing their brand. 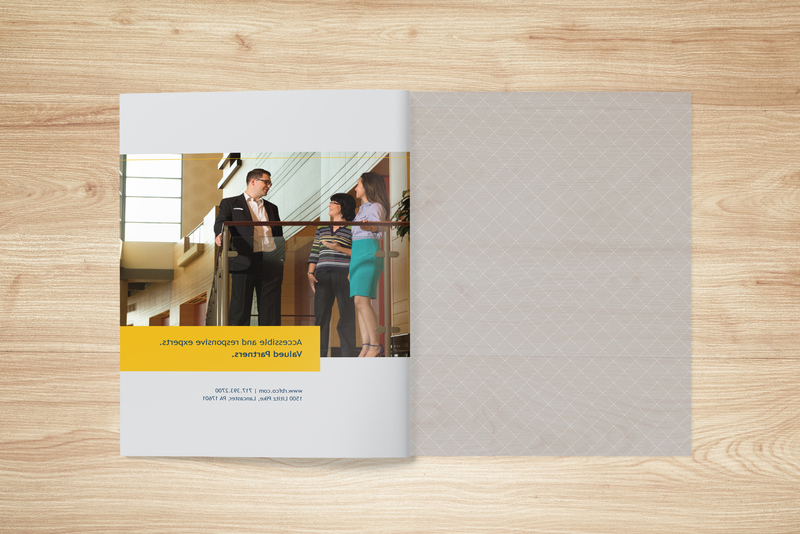 Included in the project was a new website, photography and collateral. 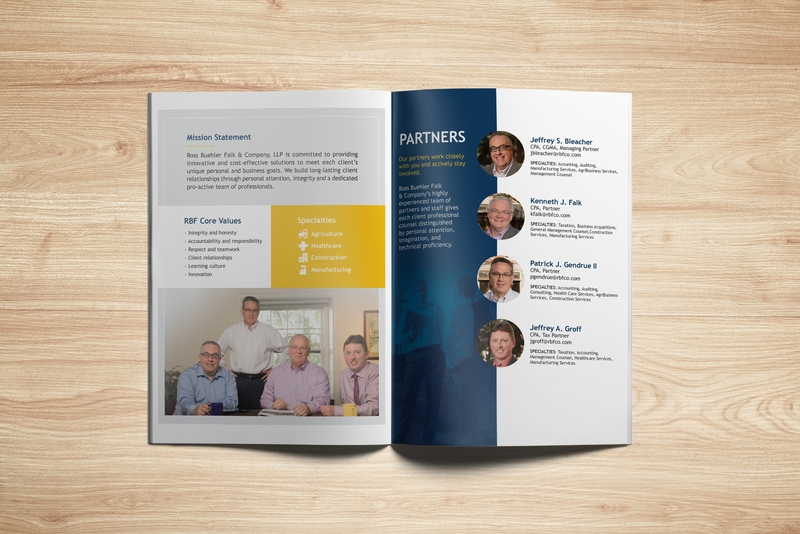 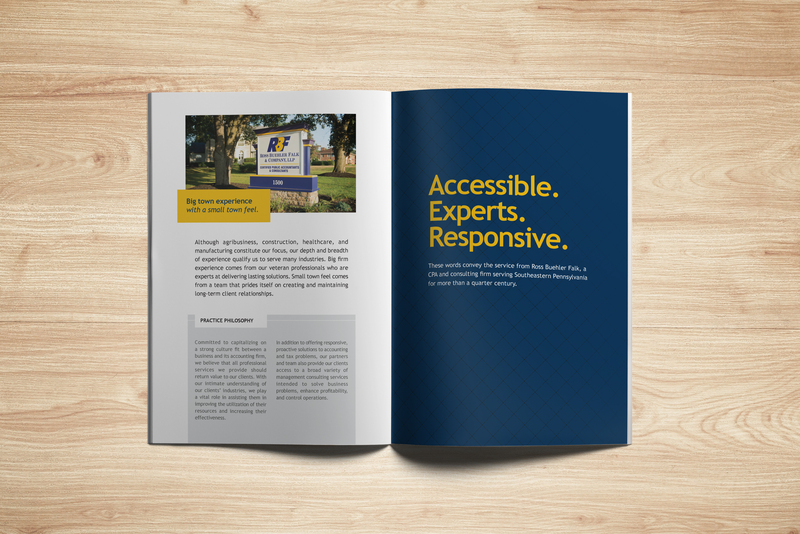 Ross Buehler Faulk and Company entrusted Hamilton with lifting their brand through print and digital mediums in order to enhance their relevance and to stay competitive. 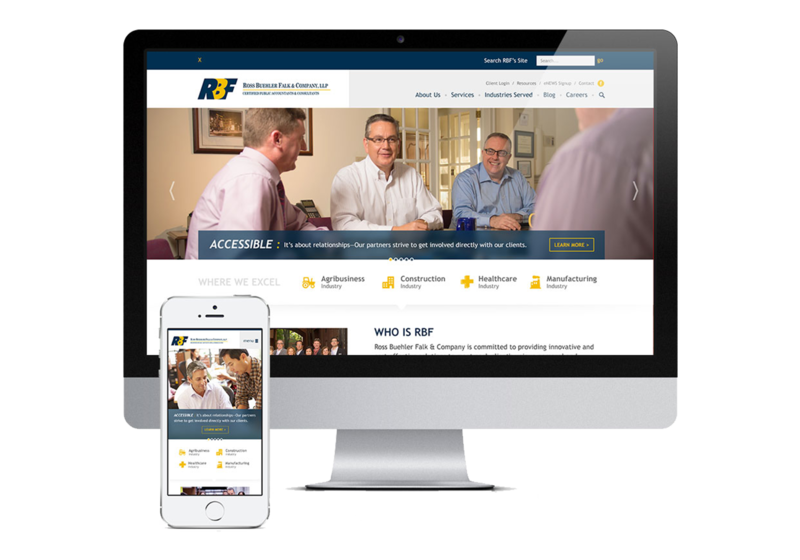 Hamilton designed the new website to reflect a modern approach and organize the content in a way that made sense to the end-user . 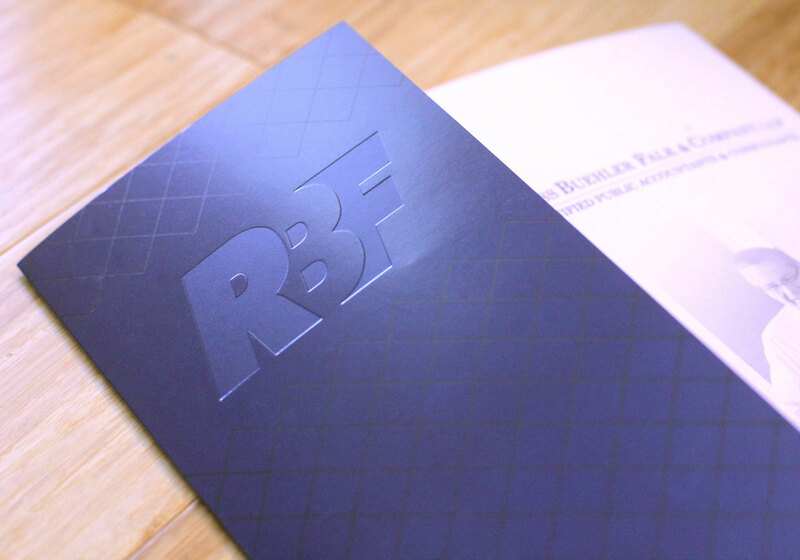 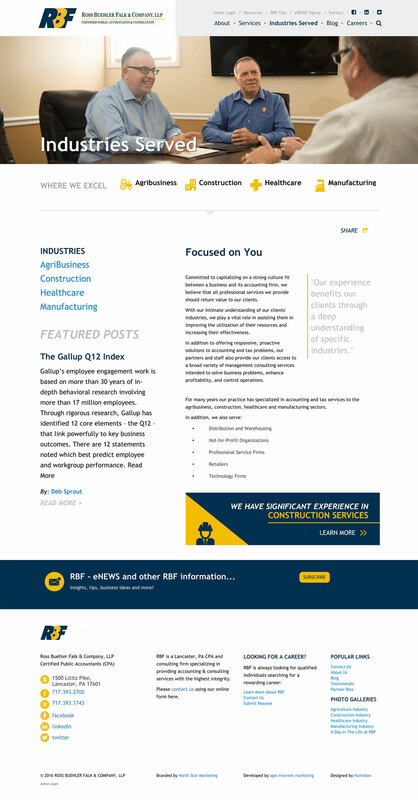 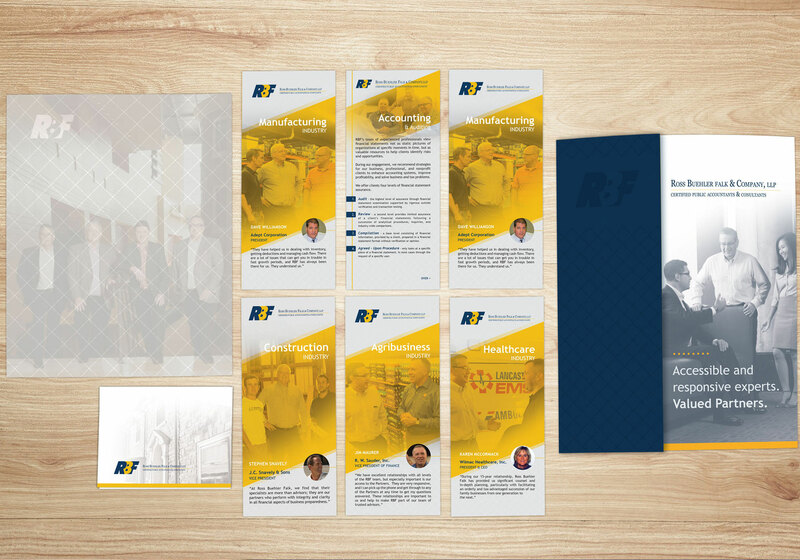 The collateral materials were fully redesigned to reflect RBF’s professionalism, attention to detail and modern aesthetics while fitting the modern approach of the website.